You too could become a member! 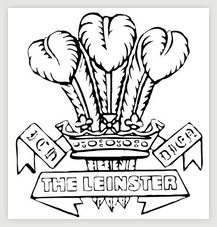 Welcome to the website of The Leinster Regiment Association that commemorates the Prince of Wales’s Leinster Regiment (Royal Canadians) a former infantry regiment of the British Army. We are an active Association with an exciting program of commemorative events held in the UK, Ireland, Belgium and France. Wish to support the Association? We are updating our web site and this is taking longer than expected. If you are searching for material on our original web site you can still access it from the Old Site button - apologies for the inconvenience. The period 1914 to 1918, synonymous with WW1, often referred to a The Great War, was a period in world history that dramatically impacted the very being of The Leinster Regiment as it did with any existing or former regiment of the British Army. will be supporting the initiatives of other organisations as they become known. These commemorative events are a combination of trips to places in Belgium and France that have particular relevance to The Leinster Regiment and the families of those men who saw action in those places. Who or what is this photograph? 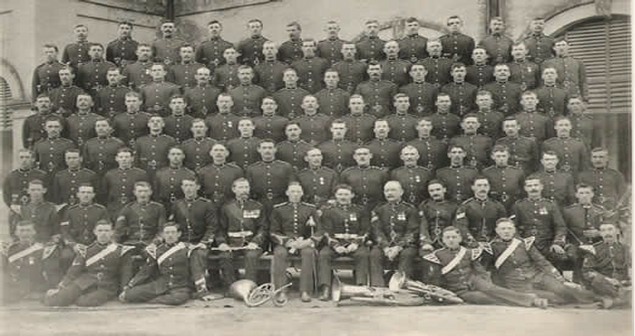 If you recognise an ancestor do please let us know. Are you receiving all communication from your Association? Please ensure that the Membership Secretary has your current email address.